Brighten up your fridge with these cheery Bee Themed Magnets. 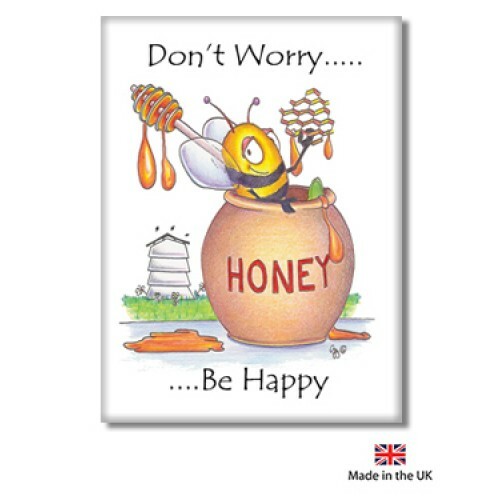 Choose from “You’re the Bees Knees”, “Don’t Worry, Bee Happy” or “Bee Sotted” to add a little humour to your kitchen. These cute design fridge magnets are made in the UK in order to ensure quality. 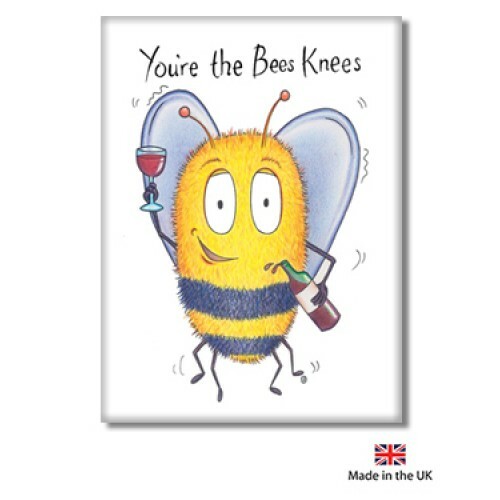 Choose from: “You’re the Bees Knees”, “Don’t Worry, Bee Happy” or “Beesotted” for a gift with a difference that will add a spice of humour to your kitchen. Furthermore these magnets are excellent for holding notes on your fridge. 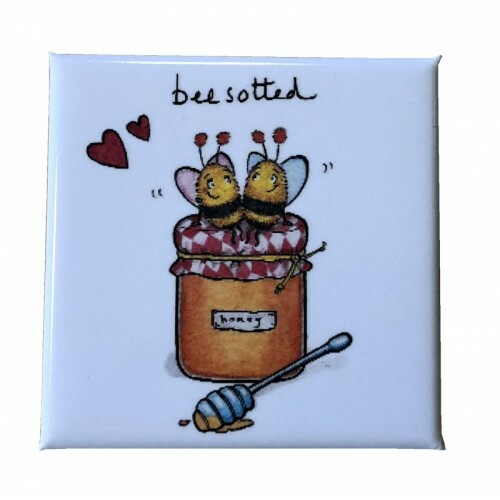 Bee Theme Magnets measure 78mm x 54mm (excepting “Bee Sotted” which measures 53mm x 53mm).